So yesterday was the Manchester City Parade and here's what I wore (along with a huge bosnian flag!) excuse the dodgy photo, was taken on iPad! 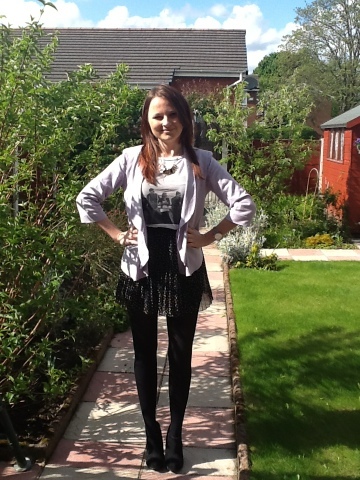 The skirt and tee are from h&m and the blazers from New Look. The shoes are stylist pick. I had made a bad outfit choice as the heavens opened and I was drenched, luckily my Bosnia flag was there to keep me warm!